How and to what extent do people take into account the intentions of others? Alessandro Duranti sets out to answer this question, showing that the role of intentions in human interaction is variable across cultures and contexts. Through careful analysis of data collected over three decades in US and Pacific societies, Duranti demonstrates that, in some communities, social actors avoid intentional discourse, focusing on the consequences of actions rather than on their alleged original goals. In other cases, he argues, people do speculate about their own intentions or guess the intentions of others, including in some societies where it was previously assumed they avoid doing so. To account for such variation, Duranti proposes an 'intentional continuum', a concept that draws from phenomenology and the detailed analysis of face-to-face interaction. 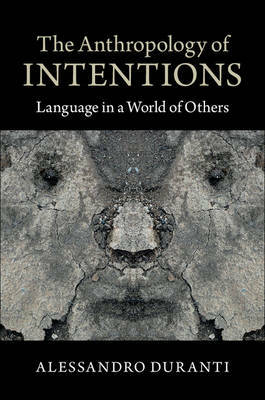 A combination of new essays and classic re-evaluations, the book draws together findings from anthropology, linguistics and philosophy to offer a penetrating account of the role of intentions in defining human action.